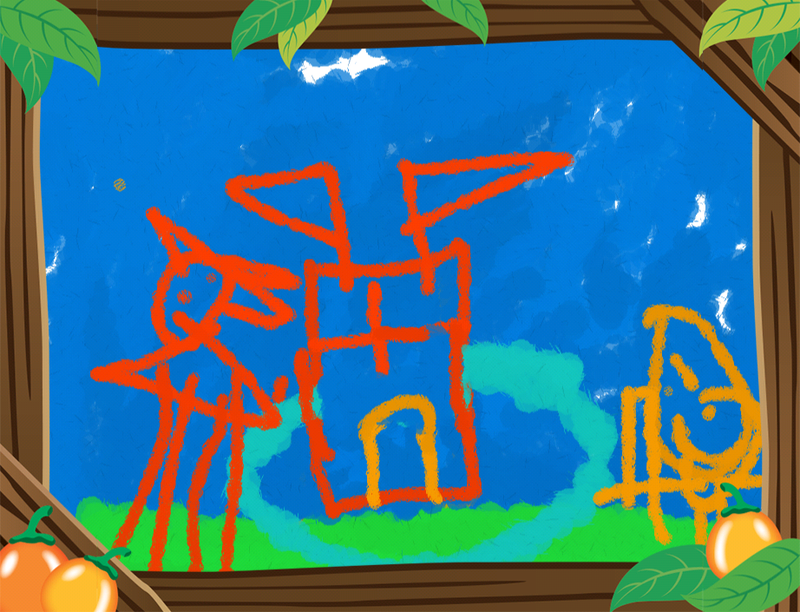 The first one is a fab "red castle with a moat and a knight who is fighting a big red dragon"
And the second one is of the sea with a "huge sea monster covered in seaweed, and a super hero with an electric sword"
I have to say I quite like them!! 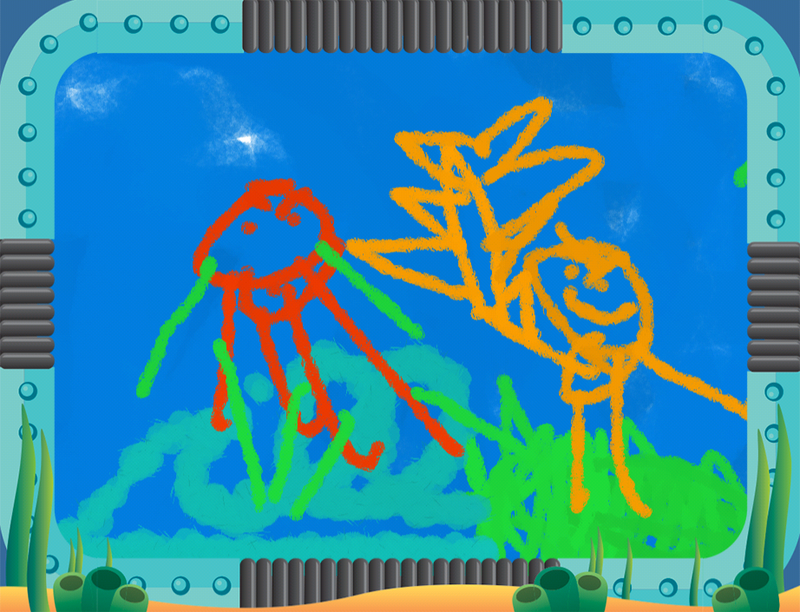 He chose to draw them on my iPad with the Cbeebies Playtime App (which you can get here) and I printed them out for him to take to school. We're putting the finishing touches to the Pirate Ship, and Jack is learning some Pirate Songs. I'll share those with you next week!